Unless you’ve been living in a cave, you’ve likely heard of the caveman diet, otherwise known as the Paleo diet. The Paleo diet is a modern take on eating the way hunter-gatherer humans ate in the Paleolithic era (2.5 million to 10,000 years ago). This diet consists of lean proteins like fish, meat and poultry, eggs, fruits, vegetables, nuts, and roots. The Paleo diet has been around since the 1970s and was created with the idea that our genetic makeup was established thousands of years ago, and modern diets are to blame for many chronic diseases such as diabetes, obesity, heart disease and autoimmune disease. The theory goes that agriculture and modern-day food processing developed too quickly for the human body to naturally adapt. Is the Paleo diet right for you? One reason diets work is that they cut out overly-processed foods and refined sugar. The Paleo diet is no exception, and that modification alone might be enough to help you reach your health goals. But do you really need to cut out grains, legumes and dairy? Well, that depends! We are all unique, and foods that work for me might not work for you and vice versa. For example, there are entire populations that can’t digest the lactose (sugar) in milk, and the protein (casein) in milk is one of the most common food allergens. Wheat (more specifically, the gliadin in gluten) is a very difficult protein to digest, and for many it can cause digestive upset and leaky gut (increased intestinal permeability) which can contribute to inflammation and immune activation. While I believe that there is no ‘one size fits all’ diet, adopting a Paleo diet as a jumping off point is a great way to clean up the diet and test for food sensitivities. If you are struggling with your weight, your sleep is less than stellar, you have digestive issues, blood sugar dysregulation, low energy, an autoimmune disease or other chronic health condition, you may want to give Paleo a try. Pilates and Paleo is a 6-week program that includes twice weekly Pilates classes taught by certified Pilates instructor Bess Mahaney, and a guided Paleo diet with weekly check-ins, educational tools, food demos, recipes and structured food re-introductions from certified nutritionist Laura Hsu. The goal is to find the least restrictive diet that works for you and helps you reach your goals. You may find that your body does OK with whole grains but dairy causes bloating, or cutting out gluten eliminates brain fog. Nourishing your body with whole foods while cutting out the problem foods will make an enormous difference in how you feel every day. If you’re unsure whether or not this program is for you, feel free to contact me to discuss your needs in detail and decide if Pilates and Paleo is right for you! 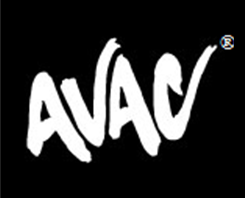 Visit www.avac.us/PilatesAndPaleo or contact Laura Hsu at LHsu@avac.us or 408.569.0379.